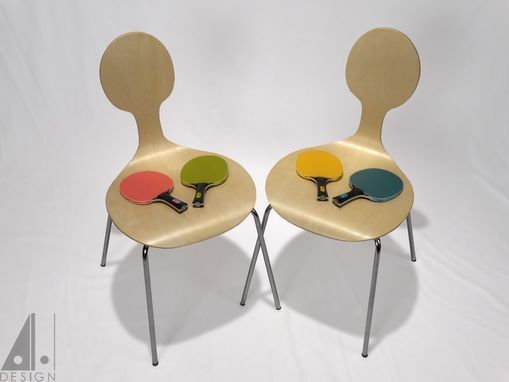 Designed for a client's game room, this series of six chairs features four chairs in a theme of card suits, while a pair features the theme of a ping pong paddle. The chairs are modified "7 Chair" chairs made to the client's specifications. 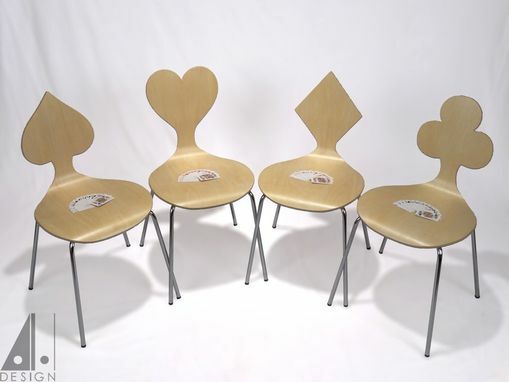 Bent laminated birch wood seats are mounted on bent steel legs. 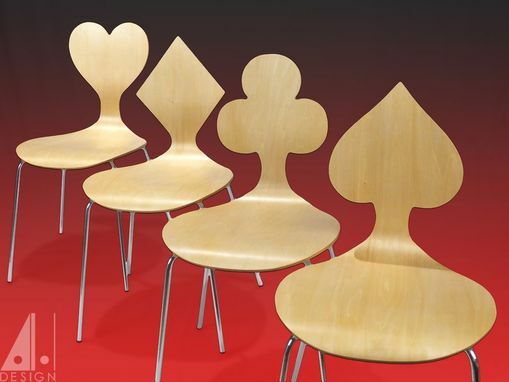 The design of the chair can be modified to meet the aesthetic wishes of any new client.